ProImprint Staff Favorites- The Best In Totes! Change is indeed the essence of life! This month’s ProImprint’s staff favorites’ blog is a little bit different than our previous edition because the poll features just one item of custom totes. We have the best and the most trending totes for the team to make their pick. It may save them time of browsing through all the custom gifts but it didn’t make it less challenging and exciting nonetheless. So, without any further delay, we are off to the polls, its nail biting finish and the much awaited results! The marketing, design and the sales team are on the dais; the tote bags are on wide display and it was the sales team’s turn first to pick up their favorite two tote bags. Derric representing the team picked up Coastal Cotton Insulated Tote Bags just in time for the beach fun and the spring season outdoor picnics and camping. Made of 12 Oz. 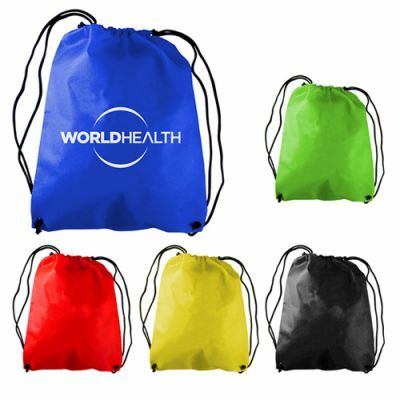 cotton and 600D Polyester, these tote bags have an insulated compartment and a 10 can capacity cooler compartment with PEVA, heat sealed lining. The PVC free and Phthalate free construction made it an ecofriendly bag as well. It will make a great bag for the beach, tail gating parties or a day out. Harris was literally at the edge of the seat and rearing to pick up his favorite bag. Recruit Non-Woven Drawstring Backpacks was his choice. Apart from a quirky name, these Non-woven Polypropylene – 80 GSM bags boasted of brilliant color choices as well. A perfect bag for the rough and tumble of daily grinds, gym sessions, camping holidays and a lot more, Harris indeed has the best in totes. He was happy to recommend this bag for everyone who follows an active life style. The design team was next in the line and all eyes were on them! Viridis Foldable Polyester Tote Bags was the unanimous choice of the team. These stylish polyester bags with Hook & Loop Closure, 50mm Carabiner and foldable design will all make it a perfect bag for the outdoor holidays and road trips. Next time when they are planning a fishing holiday or a camping trip, they will have the best toting option in hand. Are the marketers out there listening? Their second gift was Sophomore Value-Pack Drawstring Backpacks. These pretty bags with a rather unusual name will tug the hearts for everyone for its brilliant color choices and sturdy and outdoorsy design. Are the university and high school students out there listening? The sales team placed their bets on Madison Ave Polyester Tote Bags with top zipper closure and convenient front pocket. The spacious design will make it a great choice for weekend rambles and holidays. 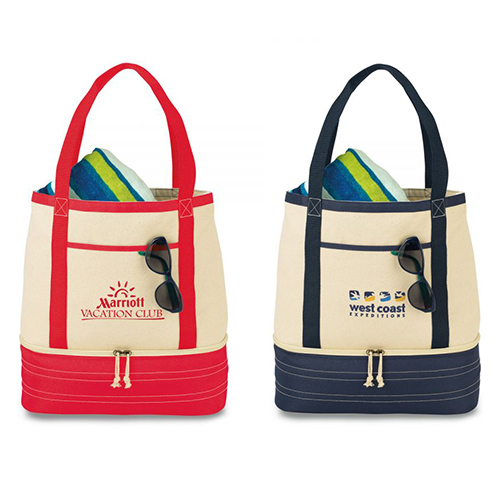 The second tote that they selected was Valley Ranch Tote Bags with a spectacular Tri-Tone Design, Color Accent Stripe and Metal D-Ring. If you thought totes are only functional and not fashionable, you could be in for a surprise for sure seeing the impressive line of totes in our collection. 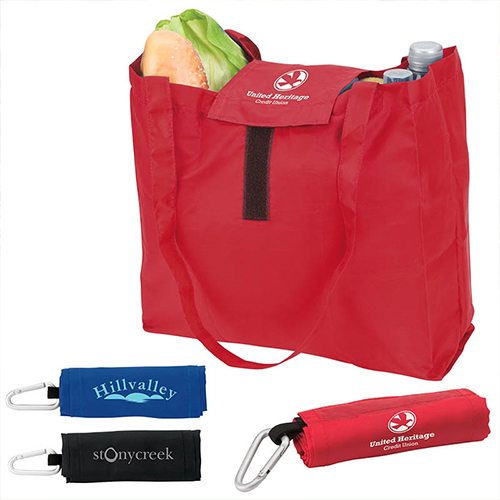 So, if you are planning to make custom totes your marketing option, there can’t be a better time than this. Hurry! 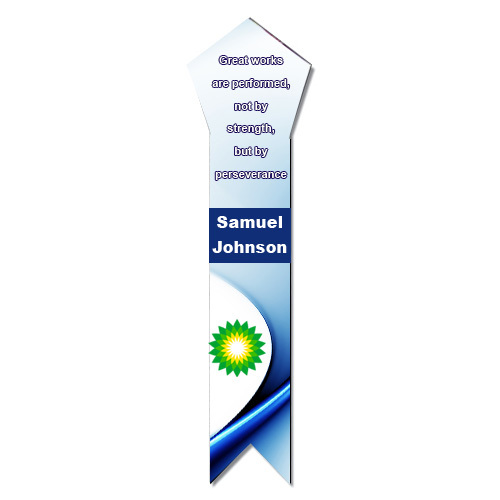 Team ProImprint has dropped enough clues for you by way of the poll results we suppose!